I've always said there are two things you don't mess with people down here, the Saints and MARDI GRAS. I'm not joking, people prepare for Mardi Gras like it's their wedding! There is so much money and time that goes into it, it's ghastly! So what the heck is Mardi Gras!? It's a Carnival celebration. It actually falls on "Fat Tuesday" and even schools are off for it. It's a legit "holiday" down here. It's basically the final day of eating, drinking, and FUN before the Lenten Season. 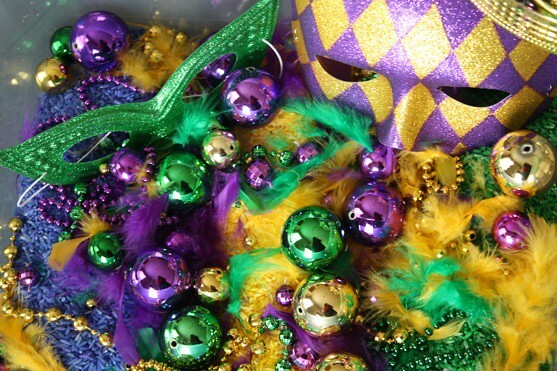 Leading up to the BIG day, masks, costumes, parades, beads, and debauchery is what you can expect. And lots of Krewe Mardi Gras Balls (a krewe is the group or organization, kind of like a club or fraternity/sorority. They host parades and usually a ball). Again, tons of money goes into "balling up" - tuxedos, ball gowns, costumes, and decorations. It is serious. 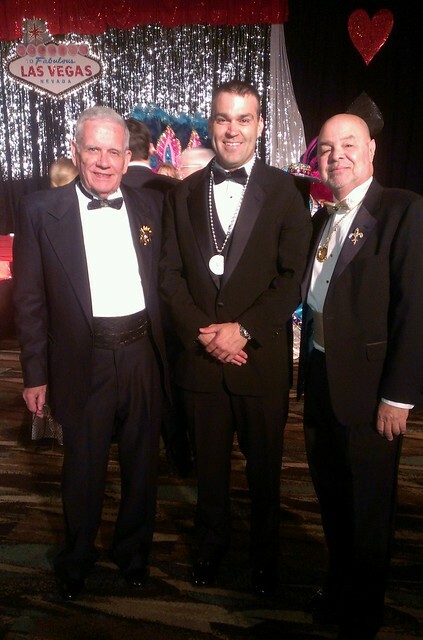 I was honored to be invited to the Krewe of Harlequins Ball which took place last night at the Coliseum. 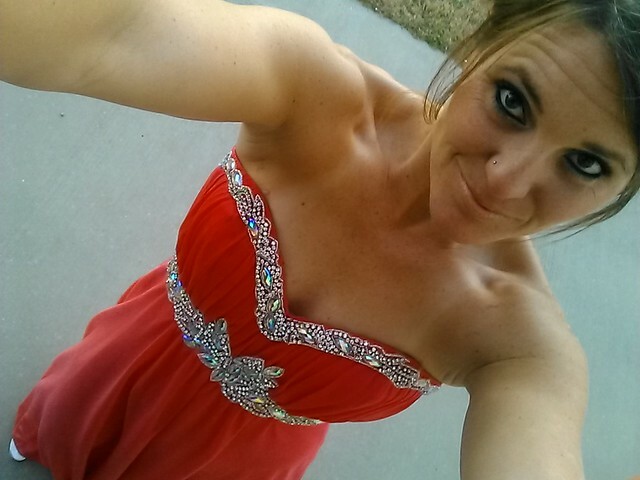 I've only been to one other Mardi Gras ball so while my comparisons are limited, this was for sure a ball where members went OUT OF THEIR WAY for glamour and extravagance (and I just want to insert here that I found my dress 3 hours prior to the ball and threw my hair and makeup together in minutes before entering the ball after working all day). Anyway, this ball was lively and stylish and entertaining. Not only were the Queen, King, Maids, and Dukes announced, but members put on skits, dancing and singing to a Las Vegas theme. It was so fun and so cute. I mostly loved admiring all the beautiful dresses and costumes. 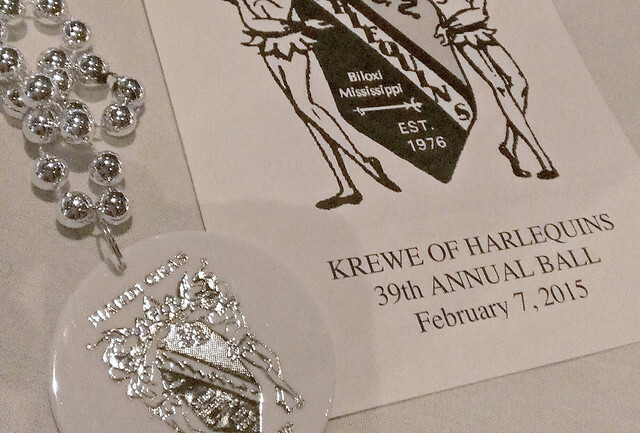 Members of the Krewe save up for and wait for years to be titled "King" and "Queen" ^ of the Krewe. Extravagant costumes, full with grandiose head dresses, are designed and hand made every year. Royalty is introduced and parade around the ball while being honored for their hard work - "Coronation". The costumes are quite impressive!! 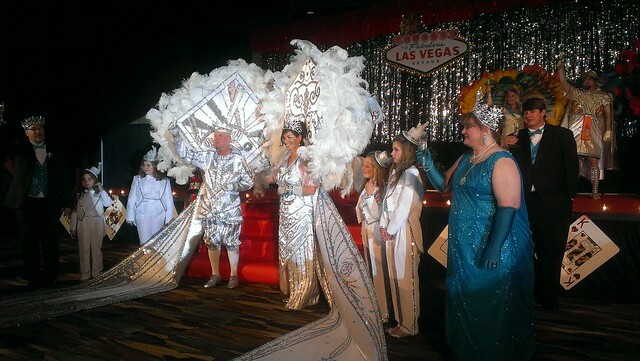 The Krewe of Harlequins presented a Las Vegas theme so the head dresses mocked Vegas casinos (Hard Rock, Mardi Gras, MGM, Circus Circus, Luxor, Mirage, Excalibur, and Flamingo <--- dang it, why didn't I take more pictures!?). Brandon Dethloff, Bob Tierney, and Marty Argenziano. What is it about cake! ?